The drama surrounding the quarterback position in Denver just keeps going. 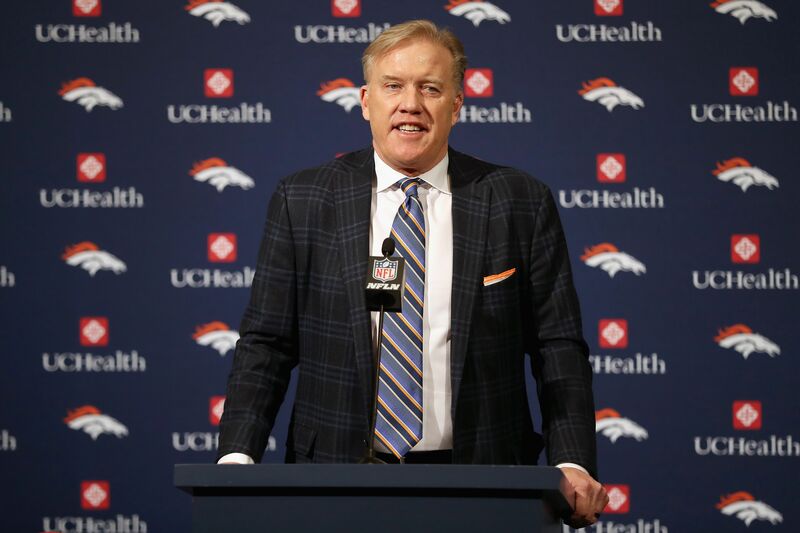 Wednesday saw GM John Elway take to Twitter to dispel rumors. Reports circulated last week about second-year quarterback Paxton Lynch losing the battle to the incumbent Trevor Siemian. Considering how average Siemian was in 2016, this wasn’t the best sign. The Broncos are looking to get back to the postseason. While the defense can get them there, Denver still needs reasonable play from the quarterback position. A local Denver radio station really stirred the pot on Wednesday morning with a surprising report. This led to none other than Elway to take to his own Twitter to refute the report shortly after. Fake news might be an eye-rolling term at this point, but Denver fans might be in the position to wish it was true. McCarron certainly has an extremely limited track record. He’s attempted just 119 passes in the NFL over the span of three career starts. Still, he does boast a 6:2 touchdown to interception ratio. Even if Elway and the Broncos were in pursuit of McCarron (or any other QB), they certainly wouldn’t admit it. Trying to trade for a potential starting quarterback would be pricey under any circumstance. When the season is under 30 days to kickoff, the stakes would become even higher. Elway tweeting about fake news doesn’t change the fact Denver could have issues at the most important position in football. The odds are definitely against Denver adding anyone to its quarterback situation at this stage. Even if they did, the incoming player would face a steep learning curve. Getting up to speed in a new system and playbook would be a lot to ask. If Lynch can’t step up, the Broncos will just have to live with Siemian for another season.